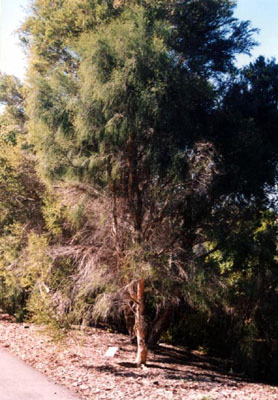 Ornamental tall shrub or small weeping tree with a bushy habit, papery grey-brown bark, and profuse cream scented flowers appearing in winter/spring. Tolerant of most well-drained soils and situations and moderate frosts. Bark is used for bark paintings. Excellent landscape shrub or speciman. Propagate from seed or cuttings.